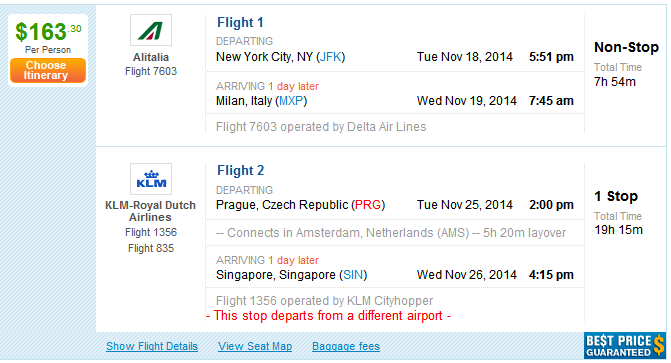 There are some amazing one way prices from New York (and LAX) to various cities in Asia with stopovers in Europe. Please note that these are one way prices and you would have to find your own way back from Asia (using frequent flyer miles, etc). Some sample itineraries are shown below. You can book via Priceline.